Adam Equipment offers a broad selection of durable, IP66-rated washdown scales for advanced protection against dirt and water ingress. All washdown scales can be thoroughly hosed down or washed with a pressure washer, as they incorporate stainless steel parts and watertight seals. 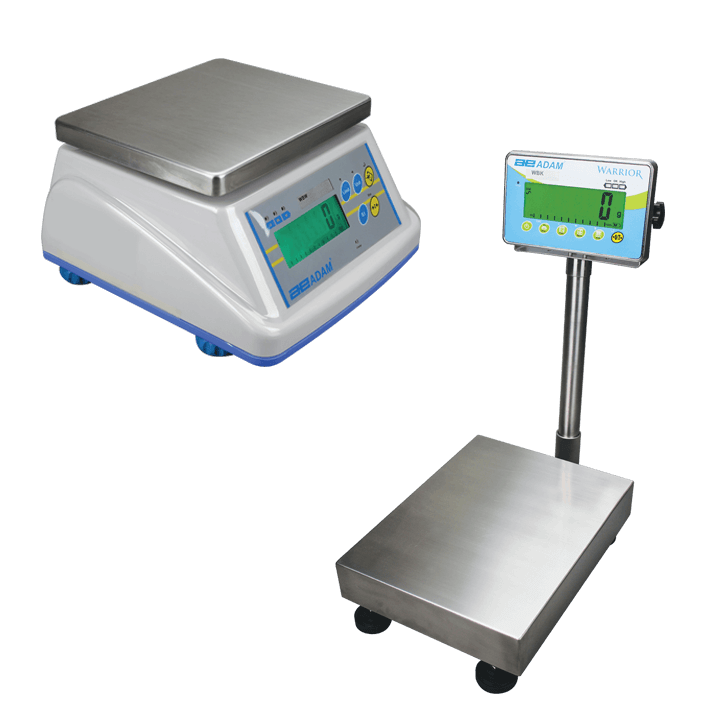 Washdown and waterproof scales are useful in a wide range of environments from food packing and preparation factories to oil refineries and chemical labs, our washdown weighing scales are well-suited for weighing food and beverages, powders, chemicals, pharmaceuticals, or for any application needing a sealed scale for wet or dusty environments. This allows for removal of any residual particles after weighing, which minimises the possibility of cross-contamination, removes dirt build-up and helps eliminate the growth of bacteria, mould or other toxins. Scales are used in many facets of agriculture and animal husbandry.